The Volkswagen (VW) Transporter T5 comes in the 1.9TDi, 2.0TDi and the 2.5TDi engines with a range of specifications and horsepower variations from 84Bhp right up to 180Bhp. 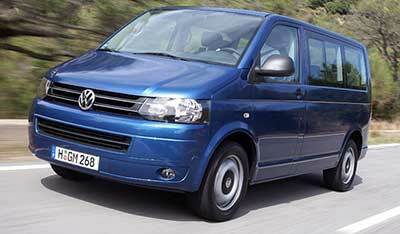 The Transporter T5 is a great van and one of our favourites – just like the older T4’s and the Crafters. Unfortunately the T5 Transporter also suffers from DPF (Diesel Particulate Filter) problems but in more than one way. We get a lot of cars coming into our workshop which just have the warning lights flashing up on the dash like a christmas tree and engine power restricted (in limp mode) – which is the common DPF problem on almost all modern vehicles, but with the VW Transporter T5 we see numerous problems all relating back to the root cause being the Diesel Particulate Filter. We see a lot of Transporter T5’s come into our workshop that regenerate the DPF too frequently, sometimes as frequent as every 90 miles! I Have Transport T5 Problems – What Can I Do? Replacement DPF – Replacing the DPF will most likely get you back on the road but at a hefty price. A Replacement DPF (Genuine part) will cost you £1000+ (+Labour, +Programming & +VAT). Even then, it won’t last forever and the day will come again when the DPF will block up and require replacing again. To maintain the new filter you should do 50 mile motorway journeys at a constant engine speed above 2000rpm.You can replace the DPF with a copy (pattern) part but there are no guarantees it will last, we no longer offer replacement copy DPF’s because all too often they fail within just a few weeks. A genuine DPF is manufactured with precious metal elements to aid in the self-cleaning regeneration processes – a copied part will not have the same precious metals and so won’t be as efficient. A copied part can be fitted in as little as £400+ (+Labour, +Programming & +VAT) but the problem could come back in as little as a few weeks. Forced Regeneration / Chemically Cleaning The DPF – Each time you chemically clean the DPF or carry out a forced regeneration, it will damage elements of the particle filter (DPF), the elements required to aid the self-cleaning process. This means that even if a Forced Regeneration or Chemical Clean is successful in reducing the ash volume which had built up inside the DPF, future regenerations won’t be as successful on the road and you’ll find yourself back in the workshop sooner rather than later. A Forced Regeneration can cost as little as £150+ but there are no guarantee’s it will last at all. How Can Sinspeed Help Me With My Blocked Transporter T5 DPF? We offer a more permanent solution to all your DPF problems. We believe the most economic way to cure any DPF related issues is to remove it permanently. Not only will it solve your problems but at the same time it will help prolong the life expectancy of both your turbocharger and engine. We can completely remove the entire DPF system from the Transporter T5 and de-activate the DPF from the Engine ECU. We do this by downloading all the data from the ECU via the OBDII on-board diagnostic port and then manually scan through all the data strings to locate & delete the data strings relating to the DPF system. Note: Some data strings will interlink with other sensors to help operate and maintain a good running vehicle, people that offer “cheap dpf removals” will be using automated software that will automatically scan and delete the files and run a very high risk of deleting sensor files at the same time. The problem is, this automated software will also delete the MIL system and will stop the engine light coming on if you have any other problems on the car – this means you will no warning lights on your dashboard and may drive away happy at first, but you may also run into very serious problems not too long down the line. In extreme cases we’ve had cars come to us where people have messed around with the ECU and shot a whole through the piston inside the engine due to altering the fueling system too much. We manually delete the DPF system from the ECU and modify any interlinked sensors to ensure that the sensors will continue to function correctly whilst not requiring any DPF readings. Once the DPF has been removed from the vehicle, the programming has been completed and a full diagnostics has been carried out to ensure no further faults are on the vehicle – we then carry out a complete Smoke-Correction service to ensure the vehicle is optimised to run efficiently without the DPF and continue to pass it’s MOT. What Guarantees Will I Get After My T5 DPF Is Removed? After we have completed the DPF Removal on your Volkswagen (VW) Transporter T5, you will notice an immediate increase in power & performance as well as an increase in fuel economy. You will no longer experience any kind of DPF-related problems on the vehicle, no warning lights, no smoking issues, no lumpy idling or hesitation on acceleration and no annoying Regenerations. Your vehicle will be out of Limp Mode and regain full power with increases in both Power & Torque. We guarantee you will be happy with your Transporter T5 once the DPF is removed and we cover all our work with a Lifetime warranty and a guaranteed MOT pass. If you have a Volkswagen (VW) Transporter T5 with a DPF problem, call us today for a free quote. We operate a nationwide service covering the UK & Ireland and a postal service for other parts of the world – so call us today on 0844 847 9999. Tags : Help With Volkswagen (VW) Transporter T5 1.9TDi & 2.5TDi DPF Problems, How To Remove Volkswagen (VW) Transporter T5 1.9TDi & 2.5TDi DPF, P2002 DPF Failure - Best Solution From Sinspeed, P2002 Fault Code Solution For Transporter T5 By sinspeed, Removing Transporter T5 DPF, Removing Volkswagen (VW) Transporter T5 1.9TDi & 2.5TDi DPF, Replacement DPF For Volkswagen (VW) Transporter T5 1.9TDi & 2.5TDi, Transporter T5 DPF, Transporter T5 DPF Problems, Transporter T5 DPF Removals, Transporter T5 DPF Repairs, Transporter T5 DPF’s, Volkswagen (VW) Transporter T5 1.9TDi & 2.5TDi De-DPF, Volkswagen (VW) Transporter T5 1.9TDi & 2.5TDi DPF Failure Help, Volkswagen (VW) Transporter T5 1.9TDi & 2.5TDi DPF Fix, Volkswagen (VW) Transporter T5 1.9TDi & 2.5TDi DPF Fixed, Volkswagen (VW) Transporter T5 1.9TDi & 2.5TDi DPF Help, Volkswagen (VW) Transporter T5 1.9TDi & 2.5TDi DPF Off, Volkswagen (VW) Transporter T5 1.9TDi & 2.5TDi DPF Problems, Volkswagen (VW) Transporter T5 1.9TDi & 2.5TDi DPF Regen, Volkswagen (VW) Transporter T5 1.9TDi & 2.5TDi DPF Regeneration, Volkswagen (VW) Transporter T5 1.9TDi & 2.5TDi DPF Removal Mot, Volkswagen (VW) Transporter T5 1.9TDi & 2.5TDi DPF Removal Procedure, Volkswagen (VW) Transporter T5 1.9TDi & 2.5TDi DPF Removal Remap, Volkswagen (VW) Transporter T5 1.9TDi & 2.5TDi DPF Removal Session, Volkswagen (VW) Transporter T5 1.9TDi & 2.5TDi DPF Removal Solution, Volkswagen (VW) Transporter T5 1.9TDi & 2.5TDi DPF Solution, Volkswagen (VW) Transporter T5 1.9TDi & 2.5TDi DPF Solutions, Volkswagen (VW) Transporter T5 1.9TDi & 2.5TDi P2002 Fault Code Fixed By Sinspeed. We have sent you an email, if you could kindly respond with your postal code we will send over a customised quotation. Can you please give me a quote for removing dpf. Many thanks. I have sent you an email with full information and pricing for the DPF Removal on your two 2013 T5’s. Quote for removal of dpf from 55 reg T5 please. I have sent you an email with full information and pricing for the DPF Removal services we offer to the KT19 area. If you have any questions, please reply to the email and we’ll be happy to assist you.